For International Women's Day, TechnoServe celebrated the people, strategies, and innovations that are hard at work to create equitable and prosperous economies for women and men around the world. This post summarizes our month-long #SheFightsPoverty blog series and social media campaign in honor of International Women’s Day 2018. 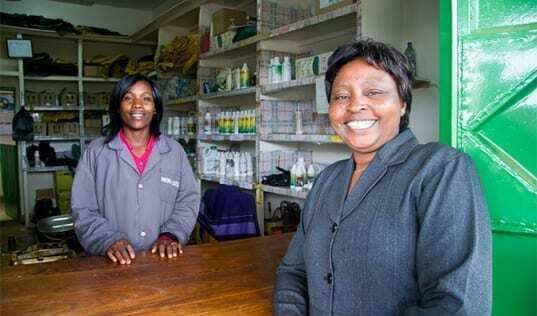 In Tanzania, women entrepreneurs are overcoming barriers to their business success with mobile savings strategies. 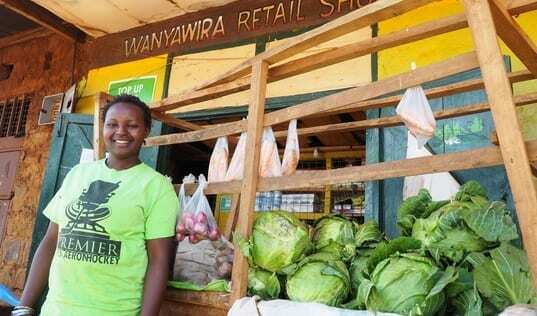 Combined with business skills training, these digital technologies are helping them to grow and protect their savings. Olga Velasquez is TechnoServe’s Monitoring and Evaluation Manager for the Better Coffee Harvests Program in Central America. 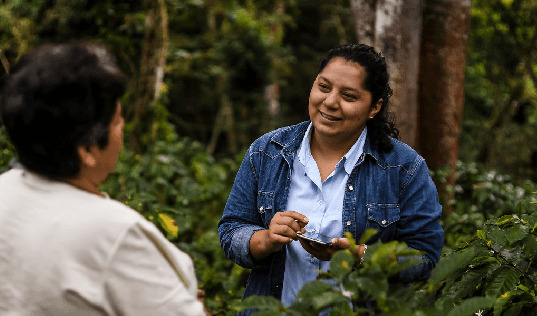 We talked with her about her experience as a woman at TechnoServe, and why good data is important for creating stronger, more gender-inclusive coffee economies. Closing the gender gap is essential to growth in Africa, where women generally have less access to education, training, and financial services than men do. Dace Mahanay, TechnoServe's Regional Director for the STRYDE program, discusses keys to supporting young women's business success. In Ethiopia, women carry out 75 percent of labor in the coffee value chain, earning only 43 percent of its income. 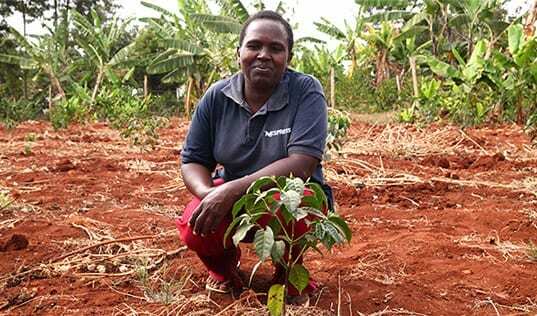 Kebebushe is one of 79 agronomists working with Nespresso to support 40,000 coffee farmers to improve farming practices along with the status of women throughout the value chain. 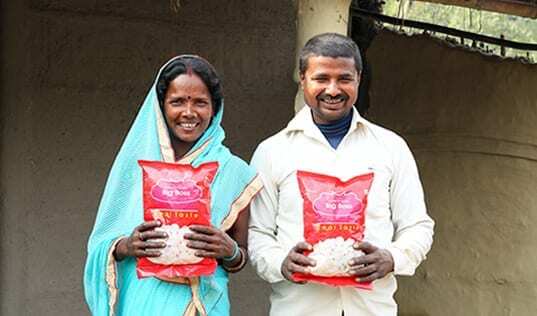 Cultural gender norms held Indu Devi and other women entrepreneurs back from business success. With access to formal financing and business training, she's integrated her enterprise into a profitable fox nut snack company. 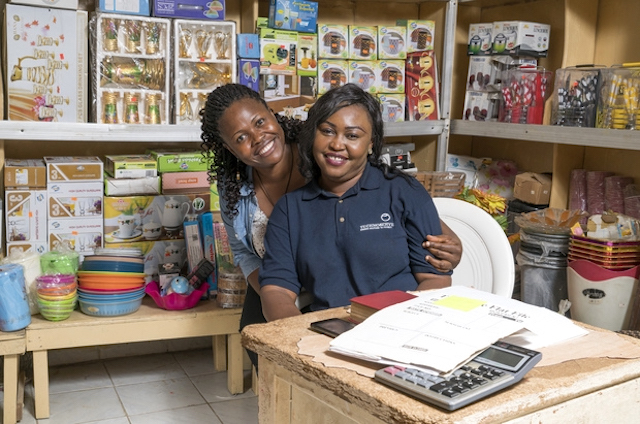 In an article for the World Economic Forum, TechnoServe's Program Director for Central America Entrepreneurship discusses ways to engage entrepreneurs in practices that not only benefit women workeres and suppliers, but help solve some of the issues facing small and medium businesses. 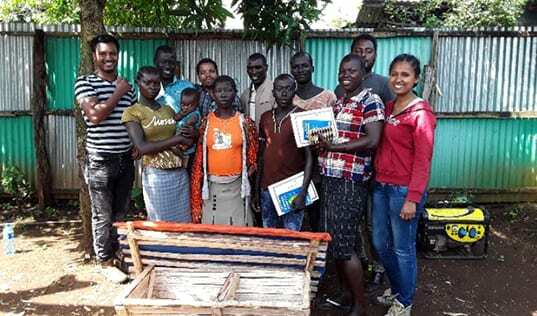 In the Majang Forest of Ethiopia, TechnoServe is jump-starting forest-based economies by helping women to reduce time spent in drudgery, launch income-generating activities, and enter competitive markets for non-timber forest products. 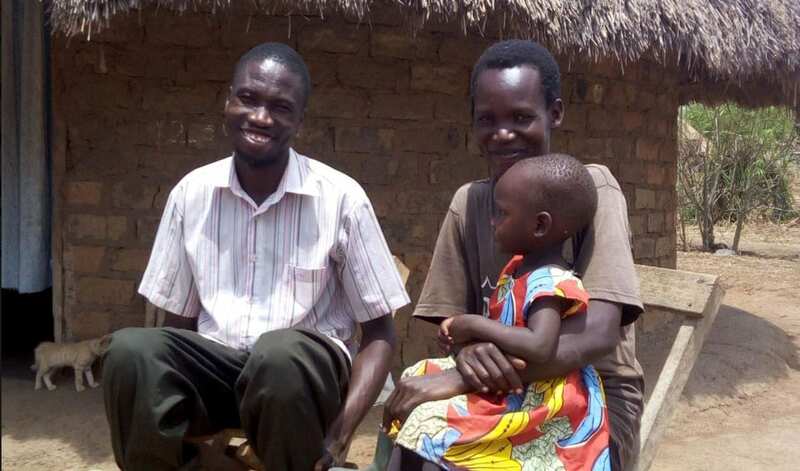 AB InBev partnered with TechnoServe to help women farmers access the agricultural and business knowledge they need in Uganda -- where women make up more than half of the agricultural labor force --to build profitable farms and a sustainable supply chain for AB InBev. Meet some of the women staff, beneficiaries, and donors supporting TechnoServe who shared how #SheFightsPoverty on Facebook and Twitter. Explore the map below to meet some of the inspiring women who are chanelling the power of the private sector to overcome poverty. Click here to view on a mobile device.